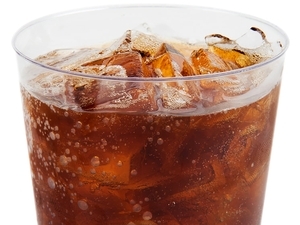 Enhance your beverage presentation with this Choice 10 oz. 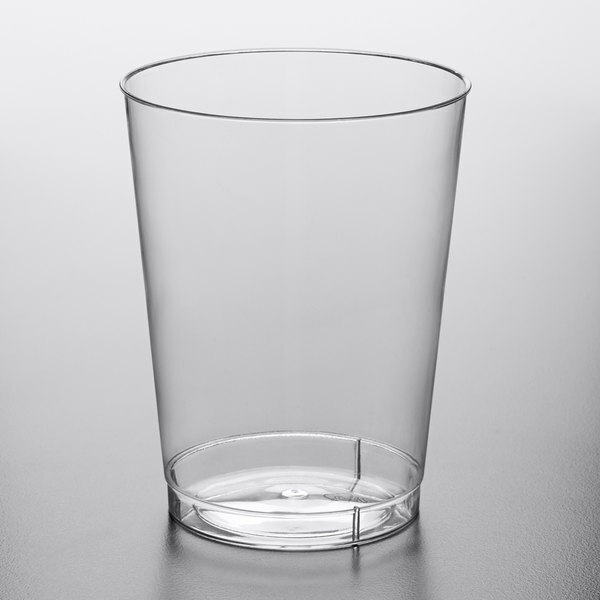 hard plastic tumbler. Instantly upgrade the beverage service at any wedding reception, banquet, and other catered event with this stylish Choice tumbler. Its lightweight design also allows for simple product separation, enabling you to easily grab it, fill it with your signature drinks, and quickly serve guests. Plus, it's disposable which allows for quick and easy cleanup at large events. "Great looking cups for being plastic. We purchased these for a wedding and we won’t be disappointed when we get ready to use them. They look really nice." Designing and creating products with the cost-efficient consumer in mind, Choice provides high-quality items for a low, economical price, and this product is no exception. Made of hard, durable polystyrene, this plastic tumbler gives you superior strength and durability without the hefty cost and risk of breakage that comes with traditional glass beverageware. 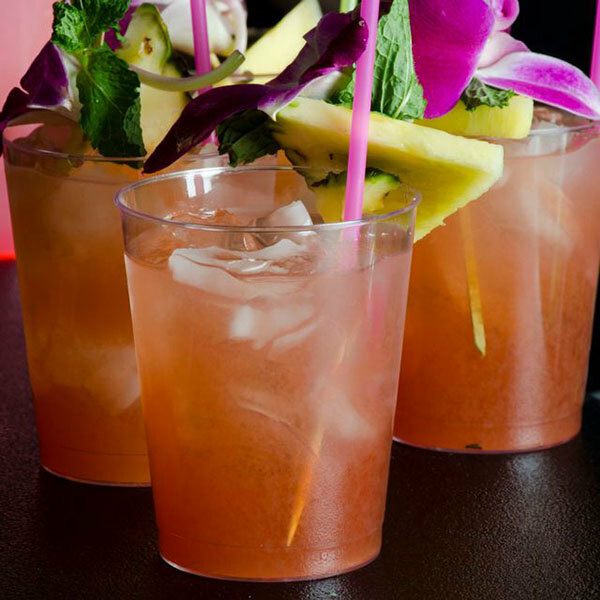 Its rolled rim promotes easy sipping and presents customers with a comfortable drinking experience. 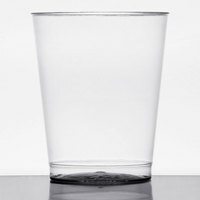 This tumbler's sleek, tapered sides make it easy to hold and serve making service safer and more efficient. Boasting a crystal-clear construction, this tumbler expertly showcases colorful sodas, teas, and mixed drinks to enhance your presentation, while also making it easy for servers to identify the various drinks when serving customers. I can’t believe the good reviews. They are terrible. They crack under the SLIGHTEST pressure. I had to double them up to even use them. They arrived on time & everything was in perfect condition & affordable. I’m actually going to purchase more. I highly recommend these thank you webstaurant! This is always my go to cup for events. 10 oz is a great size. Not too small, but not too large to save on drink costs. The hard plastic is a nice look. These look nicer than the soft plastic ones. However, they tend to crack very easily. If you’re looking for something more eco-friendly I’d go with the other ones just because they can be reused a few times over. 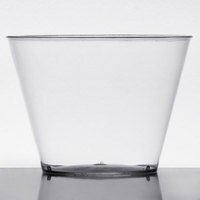 These cups work great for cocktails. They do crack occasionally, but great value for the price. Been ordering for a year now and haven't found anything better for what we need! These are basic but very sturdy and the quality is wonderful. 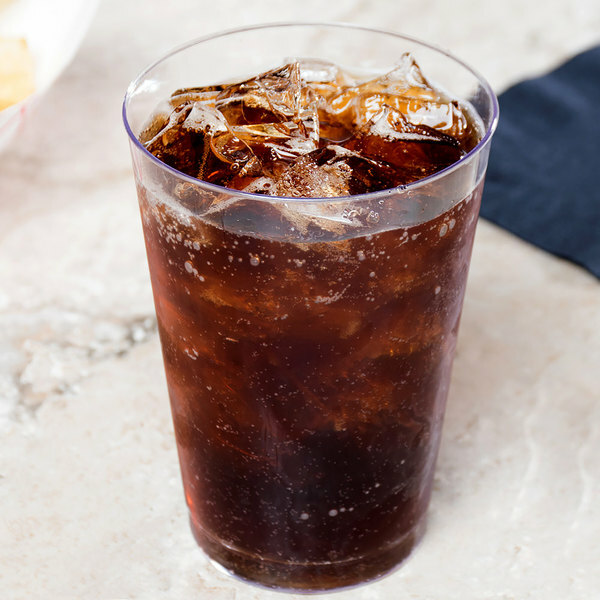 I ordered 10oz for sodas and ice but I would recommend getting the 12oz because of the ice added. These tumblers made great plastic glasses for wine for our event. Thr tumblers were sturdy and classy looking. The tumblers are inexpesive and great quality. this was a very good buy. it looked like a real glass and everyone was impresses with the look. People did not know it was plastic until they touched it. Very impressed. Great looking cups for being plastic. We purchased these for a wedding and we won’t be disappointed when we get ready to use them. They look really nice. Nice little cup, a little brittle, but was able to rewash it and use a second time before it cracked. The lip is a little rounded so it's comfortable to drink out of, too! 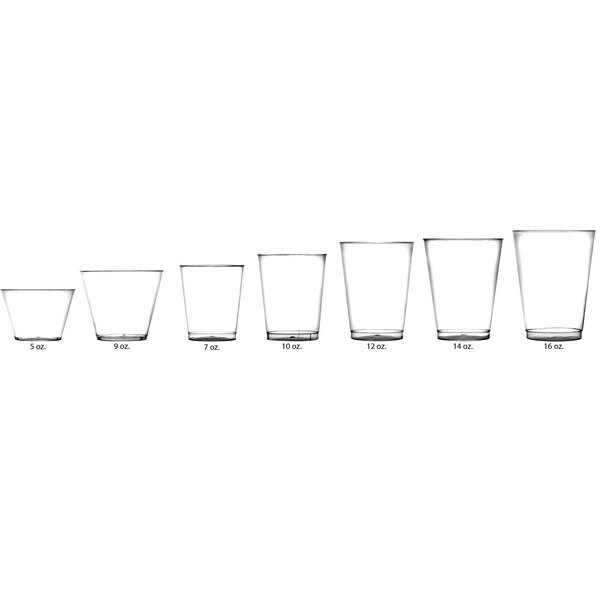 These stemless tumblers glasses are amazing and look like real glassware!! Super sturdy and will be a great addition to our glassware we are using. The fluid capacity of this cup is mis-leading. It is not very tall, wide or even deep, but it makes for the perfect size for alcoholic drinks. 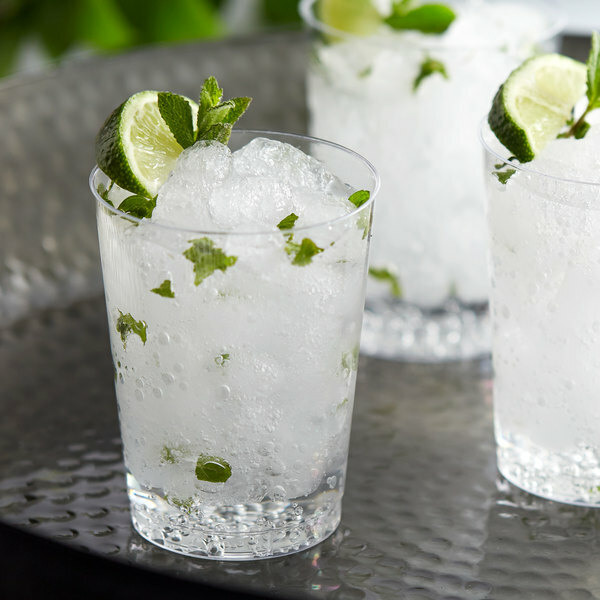 However, if your intention is to use it for soft drinks or juice, it will leave your guests wanting to come back often or get several glasses at once. It is a very sturdy cup and clean up is a cinch since it is disposable. Notice the shine. It's a good size for an adult party. It is also study enough to handle being squeezed by kids I give it a B+. A few cups arrived cracked but other than that work well. Customers love the price point compared to party and big box stores. Highly recommended fir juice, mixed drinks. Price is great! These plastic cups are a must have for any event. They are sturdy and look nice on the bar or drink table; can also be used for putting snack type foods in (pretzels, nuts, candies). The Choice 10 oz. 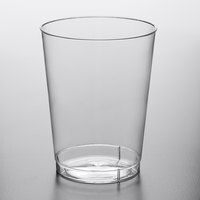 Clear Hard Plastic Tumblers are a really good deal. They work well for snacks or cold beverages. The quality is good for being disposable. Perfect for parties or other events. We used these glasses for soft drinks and cocktails at our wedding. They were the perfect size so that we did not go through too much alcohol. They were nice and heavy, and I would highly recommend them. I loved these cups for my wedding reception. They looked so nice for mixed drinks at the bar and punch service. I shopped all over for these at an affordable price and this was definitely the best. These cups are the perfect size for wine and beer at a wedding. They feel nice and sturdy They are flexible enough to not break when bent, but still feel nice and sturdy in the hand. I am very happy with the quality of these tumblers. 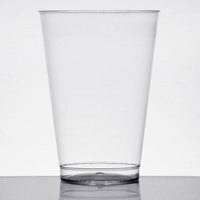 They are a smooth plastic, perfectly clear, and look very good on tables. They don't break under normal usage, although they shatter very dramatically if you step on them! I prefer this size for soft drinks or juice, people don't take huge amounts but they don't look small and cheap. The case came with each stack packaged individually in a plastic sleeve, meaning that they stayed clean until they were needed. Will definitely be ordering more! Product is very sturdy and strong. 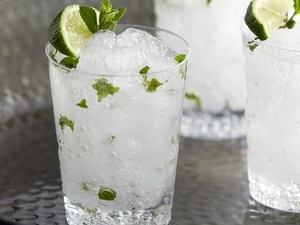 It has an very elegant clear look for any occasions for you drinks. This product is a little small for a large size dinner, they would be better served for a breakfast or brunch. Otherwise love product. Great deal for 500 cups! Order arrived super fast. Nice size a wedding, baby shower or special occasion. Thin but doesnt look cheap. Would order again. 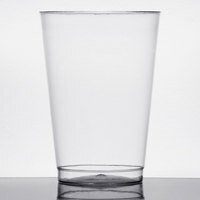 These 10oz hard plastic tumblers are of good quality and value, and look great. I used them at my sons christening and they fit in perfectly with decor. This size keep guest from having to refill as often, but are also great portion control as well. 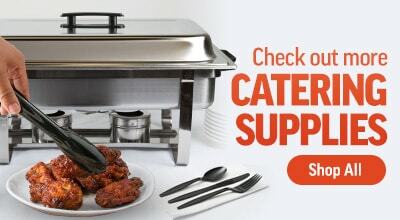 Great for catered events, large functions or outdoor party. 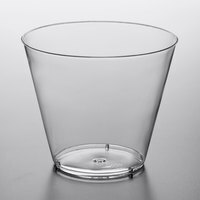 I use these mostly for weddings, for drink service, and they have heavier appearance to other plastic cups. Far more economical than other cups, highly rerecorded. These cups are very high quality - don't break, good feel in hand. But they are a little on the small side for cocktails, which is what we were planning to use them for at our wedding. When filled fully with ice they hold 5oz comfortably, but we wanted a little more room for mixers. I purchased the Choice 10 oz. 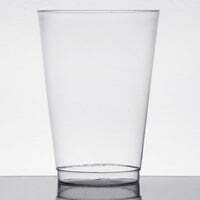 Clear Hard Plastic Tumblers for home use. The quality is ok and the price is very reasonable. Not one of my favorites. For a nicer looking alternative to solo cups, these work great. They felt a little flimsier than I expected, but no mishaps or cracked cups. Shipping was fast, and these are a great price compared to other places. These are my favorite cups for highballs. They are sturdier and nicer looking than the 12 oz soft plastic. They hold up well and look nice at events. I like the material for this. Good quality and perfect for all kinds of drinks. It is good size for serving. Perfect for hosting parties, too. The cups are nice and thick, a lot better than what can be found in stores. I didn't need 500 cups but it was cheaper then buying several smaller packages. Plus they can always be used another day.